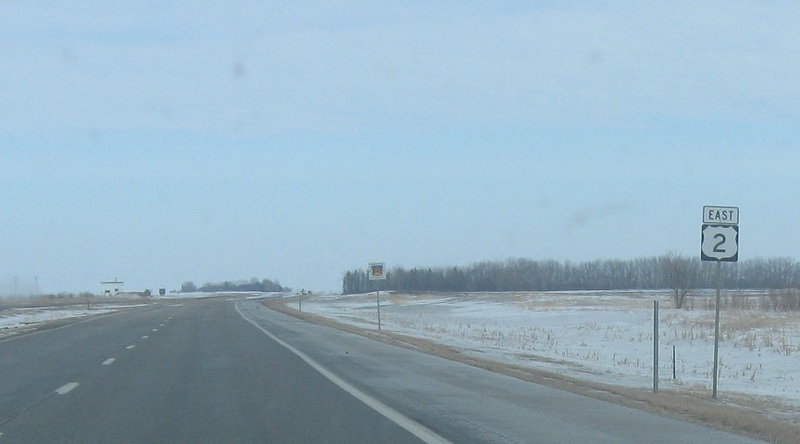 Reassurance shield after the ND-1 junction. Turn right for left for CR 22/111th Ave towards Mapes. Reassurance shield after the Mapes junction. Follow 2 east to Grand Forks. Take 35 to Michigan and Whitman. 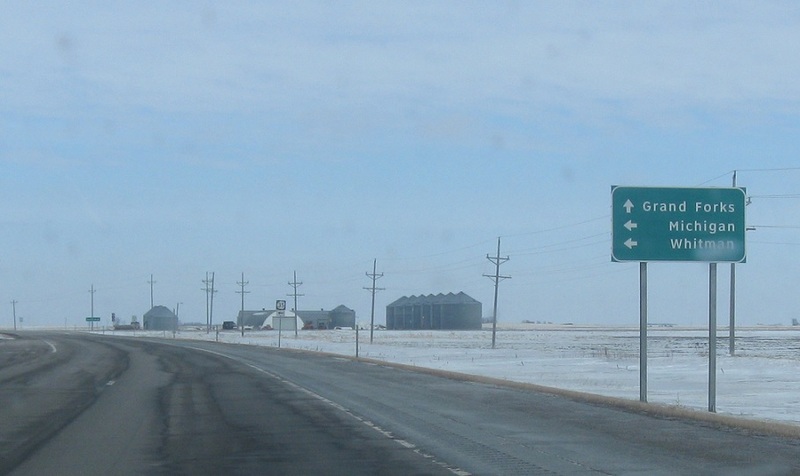 Turn right for 35 north. Stay straight for 2 east.